A NASA satellite instrument is keeping an eye on an iceberg the size of Rhode Island, the first time this space technology has been used to track a potential threat to international shipping. NASA's new orbiting SeaWinds radar instrument, flying aboard the QuikScat satellite, will monitor Iceberg B10A, which snapped off Antarctica seven years ago and has since drifted into a shipping lane. 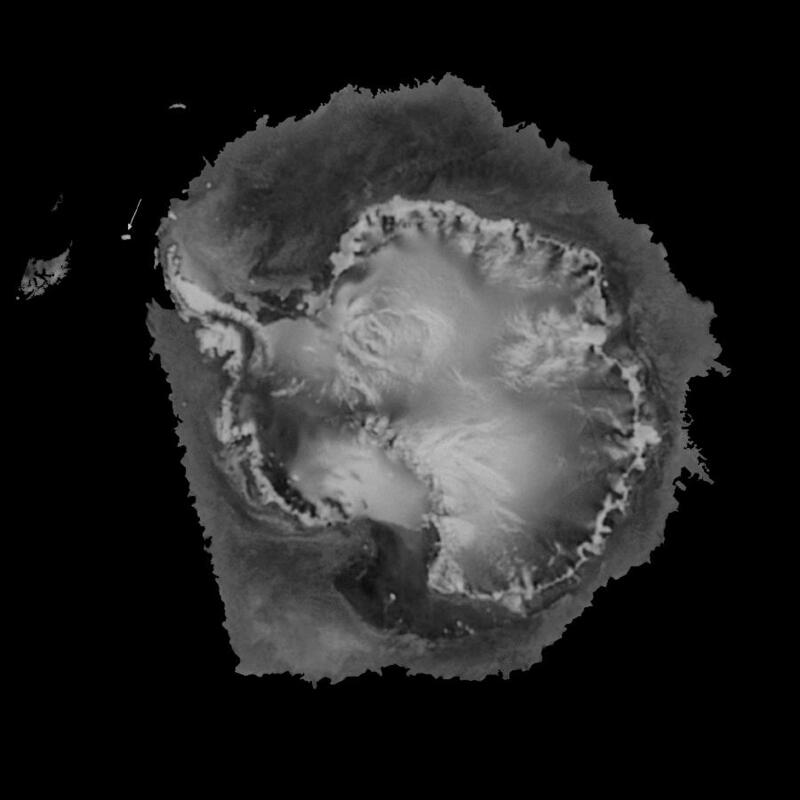 Iceberg B10A, which measures about 38 by 77 kilometers (about 24 miles by 48 miles), was spotted by the Instrument during its first pass over Antarctica, demonstrating SeaWinds' all-weather and day-night observational capabilities. The massive iceberg extends about 90 meters (300 feet) above water and may reach as deep as 300 meters (1,000 feet) below the ocean's surface. It is breaking up into smaller pieces that could pose a threat to commercial, cruise and fishing ships if the pieces are blown back into the shipping lane by high winds. "Although the iceberg isn't posing a threat to ships in the area right now, pieces of B10A could be blown back into the shipping lane and become a danger to ships using the Antarctic's Drake Passage," said Dr. David Long, a member of the SeaWinds science team from Utah's Brigham Young University, Provo, UT. Long said that the SeaWinds instrument will be able to help scientists at the National Ice Center, Suitland, MD, track pieces of the iceberg down to 4 kilometers (about 2.5 miles) in size. B10A, which took hundreds of thousands of years to form, broke off the end of the Thwaites glacier of Antarctica in 1992 and has been drifting in the ocean ever since, driven by ocean currents and wind. In 1995, the iceberg broke in half, but was being tracked on a regular basis. 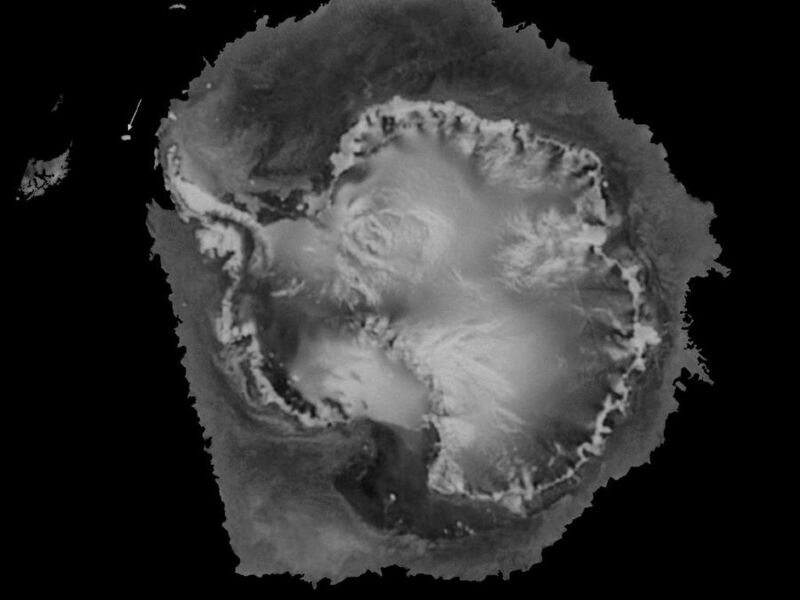 Although conventional methods of tracking sea-surface ice -- using ships' radar, shipping reports, optical images from satellites and microwave sensor data -- are usually sufficient for tracking large pieces of ice, icebergs can sometimes disappear in the poor visibility of dark, cloudy Antarctic winters. "That happened earlier this year, when we lost track of B10A's exact whereabouts," Long said. "Even though a ship was dispatched to the iceberg's last known position, we were unable to find it until we started receiving data from the SeaWinds instrument in July." Scientists were surprised at its location when they found B10A, but it was clearly identified as a very large iceberg that posed a considerable threat to ships in the area. 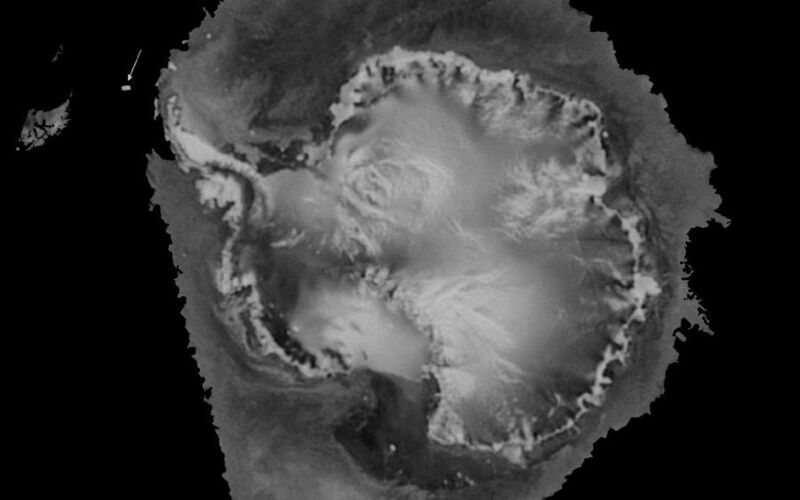 A check with the Naval Ice Center confirmed the iceberg's identity and has enabled scientists to continue tracking its journey through the Drake Passage. When it was rediscovered earlier this month heading northeast between Tierra del Fuego at the southern tip of South America and the Antarctic Peninsula, the National Ice Center issued an iceberg navigation warning to the Argentine government. "Ironically, the iceberg that took many millennia to form is expected to break up within about three months because it is drifting into warmer waters," Long said. "We will be able to watch the iceberg's breakup for the first time with daily radar observations and better understand the effects of ocean winds and climate on melting polar ice. The polar regions play a central role in regulating global climate, and it is important to accurately record and monitor the extent and surface conditions of Earth's major ice masses." The orbiting SeaWinds radar instrument, launched on the QuikScat satellite on June 19, is managed for NASA's Office of Earth Science, Washington, DC, by NASA's Jet Propulsion Laboratory, Pasadena, CA. JPL also built the SeaWinds radar instrument and is providing ground science processing systems. NASA's Goddard Space Flight Center, Greenbelt, MD, managed development of the satellite, designed and built by Ball Aerospace & Technologies Corp., Boulder, CO. The National Oceanic and Atmospheric Administration has contributed support to ground systems processing and related activities. NASA's Earth Science Enterprise is a long-term research and technology program designed to examine Earth's land, oceans, atmosphere, ice and life as a total integrated system.